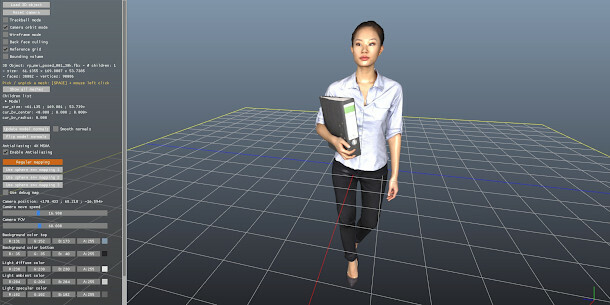 A free Renderpeople 3D character displayed inside MadView3D. Geeks3D has released MadView3D, a lightweight free cross-platform 3D model viewer. The tool, which was created using GeeXLab, Geeks3D’s platform for 3D programming and prototyping, reads files in a range of common 3D formats, including 3DS, OBJ, FBX and the increasingly popular glTF. MadView3D provides a quick way to preview models without having to wait for your main 3D application to load, or to do so on machines without any DCC software installed. It offers the usual choice of textured or wireframe display modes, plus the option to display the background grid or the model’s bounding box. There are also a few other nice touches, like the option to set the colour of the background and lights, and to adjust the field of view of the view camera. There is also a built-in checkermap, so you can use it to check UVs. MadView3D isn’t the only free model viewer on the market: for example, we’ve covered both Autodesk’s FBX Review and Transform and Lighting’s mobile-focused Emb3D in the past. It isn’t as slickly presented as either of those apps, and unlike FBX Review, it doesn’t support animation. However, it has its own strengths, and it runs on a unique range of desktop platforms: as well as Windows, Linux and macOS, you can use it on a Raspberry Pi or an Asus Tinker Board. MadView3D is available for 64-bit Windows, Linux and macOS. 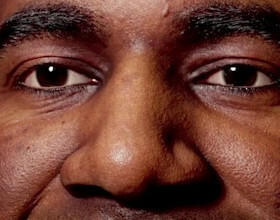 It’s a free download.